A storm which started as light sleet and freezing rain changed to snow and dumped over a half foot in portions of the Ozarks. Springfield officially received 4″ of snow from the storm. Amounts closer to 5″ were reported from Ozark and Nixa area. By far the heaviest snow took place in a band across extreme southern Missouri. 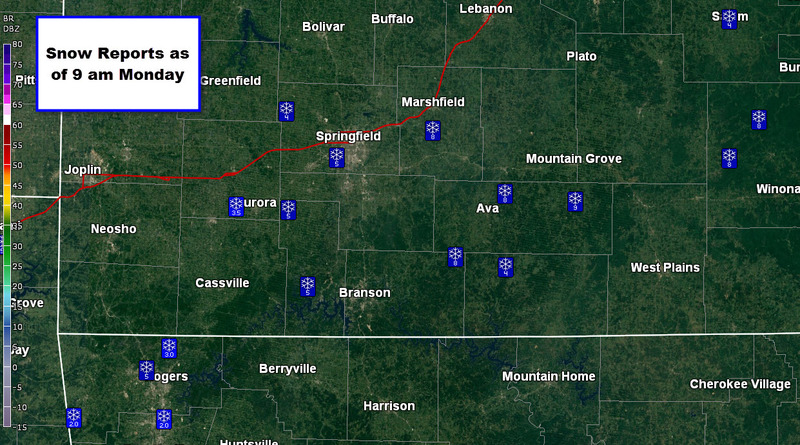 6-7″ totals were common stretching from around Cassville to Mountain Grove. A few 8″ totals have been reported too. Thus far, snow has been a big no show in the Ozarks this winter. Our total snowfall this winter in Springfield stands at 2.5″ Normal through this date is around 11″ which puts us behind by 8.5″. Making news lately (and likely for a bit longer) has been the very active storm track and the snow that comes with it in the northeast and upper Midwest. 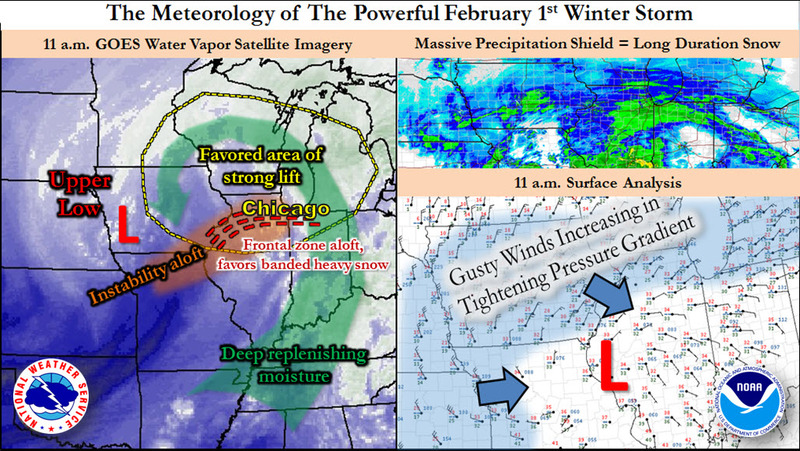 Saturday through Monday, Chicago recorded 19.3″ on snow. 16.2 inches fell in one day which the most of any February day on record. The northeast has gotten slammed with snow lately too. The much-advertised “#Blizzard of 2015″ spared New York City but pounded areas of eastern New England with around 30″ of snow! Another storm (the Chicago storm farther east) put down an additional 10-12 inches in the same area. Boston is now at 53.4” for the season! The reason for the lack of snow in the Ozarks has been the persistent jet stream flow out of the west-northwest which mostly produces fast-moving, relatively warm weather systems which pass near the Ozarks. These same weather systems often produce snow on the northern, colder side (Chicago) or wrap-up when they reach the east coast of the U.S.